The Apple Discussions forum was seen reporting of an alarm clock issue which was found not to be working on the gadget on the New Year’s Day 2011. The iPhone alarm bug affects only non-recurring alarms, according to the forum members. 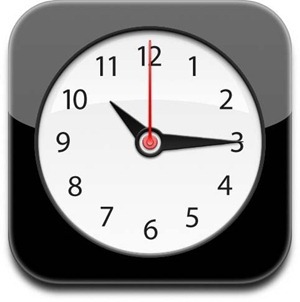 If you remember, the Apple Alarm Clock App had faced difficulties on the Daylight Saving Time issue, with the gadget giant releasing a quick update back in November releasing the Apple iOS 4.2. The iPhone built-in alarm clock app wasn’t sounded for those who had set a once-only alarm. iPhone users who wish to avoid this issue need to set a recurring alarm by tapping repeat to select the days you want the alarm to go off on. Where users were found reporting on the issue, Apple authorities were not available to comment. Apparently a bug in the iPhone clock app prevents non-recurring alarms from properly triggering on New Years day. I was able to confirm this after a couple of false starts. For the bug to show itself, your iOS device must actually tick over from 11:59 p.m. on December 31, 2010 to 12:00 a.m. on January 1, 2011.